NASHVILLE, TN – Apr. 01, 2019 – ACM “New Group of the Year” LANCO (Arista Nashville) released their new single “Rival” to Country radio today. The first track released from the band’s upcoming sophomore album follows their No. One selling and critically acclaim debut HALLELUJAH NIGHTS, which boasts over 550 million streams. “Rival” was once again produced by Jay Joyce, and was written by frontman Brandon Lancaster and drummer Tripp Howell. Leading into Sunday’s 54th annual ACM Awards (4/7 on CBS at 7:00P CT) with their first-ever award win, LANCO is also nominated for ACM “Group of the Year” and will perform the “arena-ready new single” (Billboard) during the telecast. Critics have caught on early to the band’s “impassioned and rowdy track” (Music Row) as it tells “the truth about having haters is kind of what unites us all” (CMT). The “blood-pumping song with a devil-may-care attitude” (Sounds Like Nashville) proves how LANCO is “making bands In Country music cool again” (The Bobby Bones Show). LANCO has paved the course for critical acclaim with the success of their 2x PLATINUM single “Greatest Love Story” which became a multi-week chart topper. Following the release of their No. One selling debut album HALLELUJAH NIGHTS, both moments were historical in Country music as Lancaster became the first artist in 10 years to have a No. One on the chart solely written by that artist, while LANCO served as the first Country group in a decade to appear at the top of the Billboard Country albums chart with a debut album. 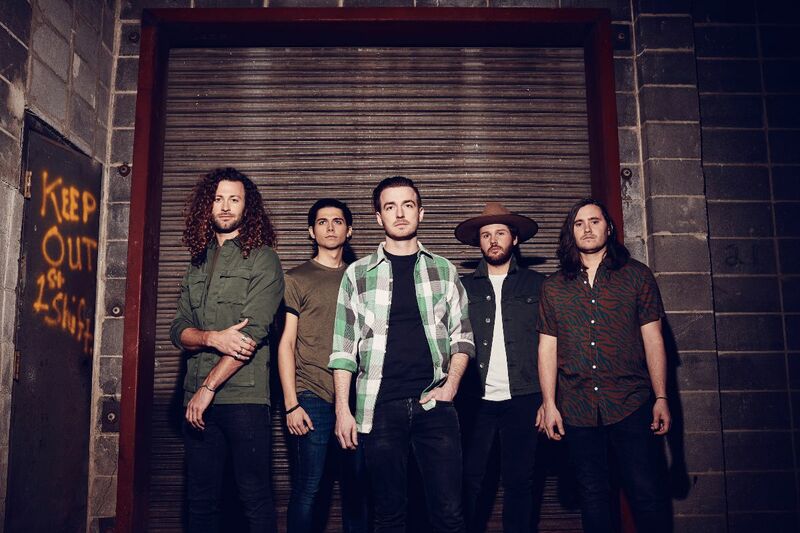 As it now boasts over 426 million streams, LANCO has earned nominations from the ACM, CMT, CMA, AMA, and iHeart Awards, while Lancaster became the first member of a group to ever win NSAI’s “Songwriter/Artist of the Year.” They recently wrapped first-ever headlining HALLELUJAH NIGHTS TOUR to capacity crowds throughout the country and currently serve as direct support for Luke Combs’ “BEER NEVER BROKE MY HEART TOUR.” Fans can connect with LANCO on Facebook, Instagram and Twitter. For more information, visit www.lancomusic.com.